“The government’s decision, not to put the St Philip's Hospital renting question for a parliamentary vote, is to be condemned, as the general elections date is near and, it is clear that the government does not enjoy a majority in parliament”. The Party states that “in questions of national interest, were public funds are concerned, a parliamentary debate and vote is obligatory. The arguments brought about by the Minister of Health not to put this matter to a parliamentary vote are not justifiable”. 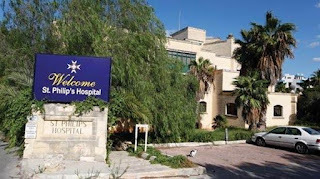 The Party stresses, “that government’s decision to rent St Philip's Hospital and at the same time invest public funds for its improvement, is a bad decision”.This case is another instance where the private sector who laments states' involvement in the economy and wants all the services privatised, pretends that the state forkes out the tax payer's money to save the private investment when this faces a financial crisis. The Communist Party is of the opinion that if a decision is taken about the transferring of St Philip's Hospital, this should be purchased so any investment in it will remain public. “St Luke's Hospital should also be included in future government’s plans towards public health investments”, concluded the Communist Party.